When it comes to cholesterol numbers, we hear the medical professionals’ — and the pharmaceutical companies’ — constant calls to get our cholesterol lower, lower, lower. So it may surprise you to know that, despite its thoroughly negative reputation, we don’t truly want to be rid of our cholesterol completely. And the guidelines for those high levels, established by the National Cholesterol Education Program through the National Institutes of Health, change all the time, Sljapic said. Those with two or more risk factors — hereditary predisposition, obesity, smoking, etc. — should shoot for a cholesterol number below 100. Produced by the liver, cholesterol is a fatty, waxy substance that, in excess, builds up in the arteries and hardens into plaque (atherosclerosis). This buildup is what narrows and eventually blocks the flow of blood through the artery, which results in rupture or heart attack. 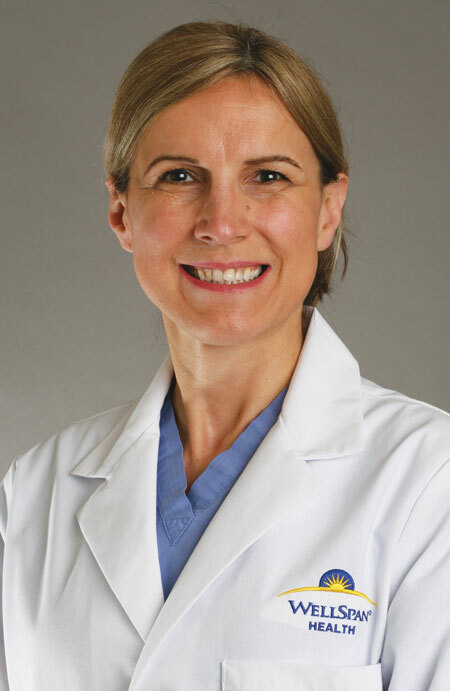 Dr. Tatjana Sljapic, electrophysiologist at WellSpan Cardiology in Lancaster. So while some cholesterol is produced internally, the rest of it enters our bodies through our mouths. In a country with an established obesity epidemic and where, according to the Centers for Disease Control and Prevention, 1 in 6 adults has high cholesterol, Americans are being urged left and right to take a hard look at our diets and make changes for the better. Those with diets high in saturated fats and trans fats put themselves at huge risk for developing high cholesterol, which, in turn, spikes their risk for heart disease, the leading cause of death for both men and women in the United States. Also on cardiologists’ radar are triglycerides, another type of fat now measured alongside cholesterol levels. Although some triglycerides are necessary for health and energy, excessive amounts contribute to coronary artery disease. These fats are often found in simple carbohydrates, starchy foods, alcohol, chocolate, butter, and high-fat meats. “In men, it’s beer. In women, it’s ice cream,” Sljapic chuckled. It’s important to note that not all cholesterol is created equal. LDL cholesterol, nicknamed the “bad” cholesterol, increases inflammation and contributes to plaque formation in the arteries. This is the number we strive to keep low. 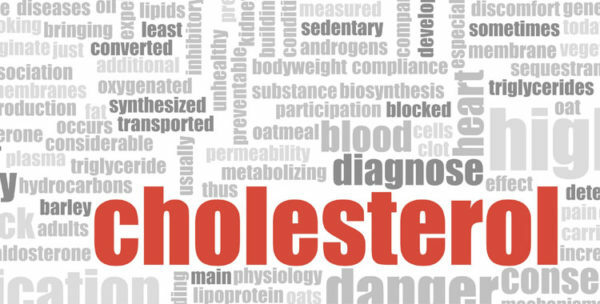 HDL, or “good” cholesterol, is a number we strive to keep on the higher side, with 70 being the target. Sljapic said below 40 for men and below 50 for women is considered too low. HDL above 75 has been shown to prolong life, known as longevity syndrome — possibly one of the only syndromes you genuinely want. “[HDL] removes the excess cholesterol from the blood,” Sljapic explained. “It’s protective. I’ve never seen a patient with a heart attack who had an HDL of 80 in my life. Until menopausal age, women’s cholesterol levels tend to be a bit lower than men’s. But beginning hormonal replacement therapy solely to replace estrogen and its cardiovascular protective effects, Sljapic warned, is not recommended and has not been proven beneficial. Instead, a cholesterol-lowering statin drug, such as Crestor, Lipitor, or Zocor, should be prescribed. Patients with elevated LDL cholesterol are usually encouraged to take part in a Therapeutic Lifestyle Changes (TLC) program, which focuses on dietary adjustments (specifically the reduction of saturated fats), physical activity, weight management, and smoking cessation. This lifestyle program works in conjunction with prescribed medications. Statins reduce the LDL cholesterol produced by the liver; some — but not all — have been shown to elevate HDL and reduce triglycerides, too. So why are so many patients disinclined to try or stick with statin drugs? Sljapic said some people simply don’t like taking medications. Some would prefer to focus exclusively on lifestyle modifications. Some are put off by the occasional side effects, such as myositis (muscular aches and pains). Sljapic theorizes that many patients are started on statins at too high a dose; then, when they cannot tolerate the side effects, they are reluctant to give the medications another try. She encourages patients to try a different statin and start at the lowest possible dose and then go higher if necessary. The inescapable reality, though, is that a healthy lifestyle — “move more, eat less,” as Sljapic puts it — is essential to maintaining appropriate cholesterol levels, avoiding heart disease, and achieving longevity.